White Bird is a scenic destination allowing you can drive into Hells Canyon where Pittsburg Landing provides a picnic area or where the history buff can retrace the steps of Lewis and Clark or visit the historic site of the Battle of White Bird where the first fight of the Nez Perce war took place. White Bird Battlefield. Located 15 minutes south of Grangeville, Idaho on Highway 95. Here is the site of the first fight of the Nez Perce war took place in 1877. A self-guided walking tour booklet is available at the trailhead a little over one mile through the White Bird on the Old Spiral Highway. Also there is an interpretive shelter overlooking the Battlefield along Highway 95. Clearwater National Forest. Ranger Station - 502 Lowry, Kooskia, ID 83540. Phone: 208-926-4274; Fax: 208-926-6450. 1.8 million acres of forest sweeping from the Bitterroot Mountains to the east and river canyons and the Palouse Prairie to the west. The Lewis and Clark expedition and the Nez Perce travelled through here. Nez Perce National Forest. Slate Creek Ranger Station - 304 Slate Creek Road, White Bird, ID 83554. Phone: 208-839-2211; TDD: 208-839-2328; Fax: 208-839-2730. 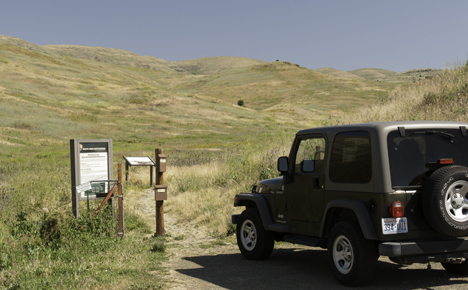 Hells Canyon Corridor has Havens Gate Overlook and Pittsburg Landing. This National Historical park is located in the states of Idaho, Montana, Oregon and Washington. Many historic sites are located in this park including the White Bird Battlefield. *Also see the Go Northwest! Attractions guide to Riggins.